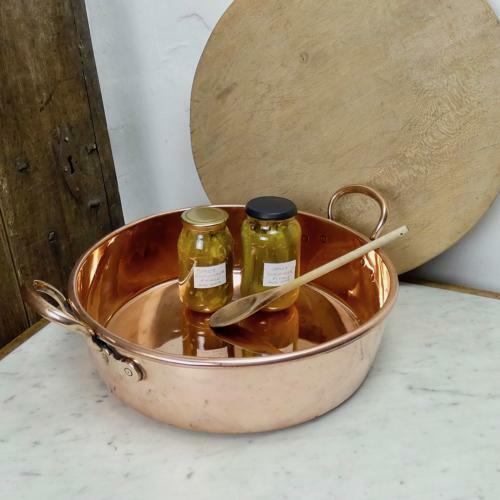 A 19th century, English copper preserve pan. This pan is well made, from a heavy gauge of copper. It has the typical English style of brass handles to either side, a rolled rim and a flat base. It has no manufacturers marks and it dates from c.1870. It is in very good condition with just very minor denting, on the base of the pan, from use. Price includes postage within the U.K. Shipping to the U.S.A. add £45. Western Europe add £20.